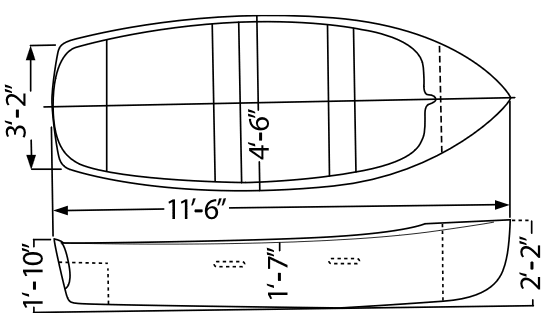 The Beverly Dinghy is offered in both a rowing and a sailing version. The rowing version has two stations to allow flexibility depending upon the number of passengers and gear. She moves beautifully through the water with a full load, one person or when being towed behind a cruising boat. 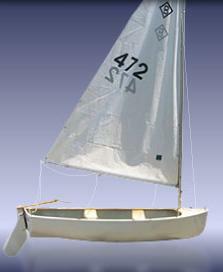 The sailing version has plenty of space for a dinghy yet remains simple with her layout. Folks of all ages sail the Beverly dinghy and enjoy her ease and simplicity. Weight Rowing Model 142 lbs. Weight Sailing Mode with sail 207 lbs.